For all the interested parties: we have done a first for us. We have uploaded the recording of a full show to YouTube, for all to enjoy. We’ve had a couple of personnel changes lately. We are now plus a drummer, minus a bassist. Check the complete article for more details. It’s been a while since we’ve played any live shows, but today we can announce that we have got our first show in 10 month scheduled. We will be appearing at the Uprising Festival in Bilthoven once again. And I’ll say it again: we got him. Oh yes, it’s true, this time on a much shorter timescale, but we got him. We’ve bagged ourselves another drummer! 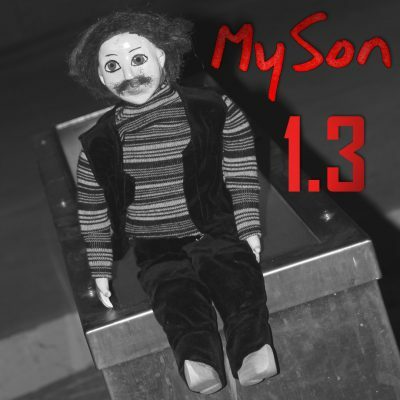 Well, you might’ve already noticed it, but Marius has left the position of drummer in MySon. He already did so on 3 March, 10 days before we had to play the GiveMeNoise Festival. Well, as you may have noticed from the “band members” section. Johan has decided to split paths with us. Yesterday we played our last show together in Maastricht. By popular demand, here is a list of our past shows, starting with the latest. I’ll update it as time passes. Well, in the interest of full disclosure, I’ll just post the link to the review we got at 3voor12, of our show with Eva Braun, on 2 August at the Little Devil in Tilburg. This is just a quick message to let everyone know that I just put up a couple of video’s, from our second show, on youtube. It took place at De Dolle Tol in ‘s-Hertogenbosch, NL, on 29 March 2008. Now we have another nice thing to tell you all. Namely that we’ve just got an e-mail from the w2 Popcollectief, inviting us to play a show on the Boschkilde Festival, on 26 December 2007.